PRICE, BENJAMIN, merchant, member of James Murray*’s council, master in chancery; d. between September 1768 and May 1769. 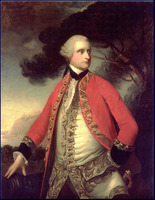 Benjamin Price was a merchant of post-conquest Quebec, sufficiently reliable and prominent to be given important commissions by Governor Murray. Unfortunately the only information available about him consists of brief references in the minutes and papers of the Legislative Council, which include a complaint lodged by him in 1767 against his confidential clerk giving all that has been found about his origins. He was, apparently, an Englishman. In March 1761 he sent a ship from Plymouth for Quebec, chiefly loaded with his own goods under the charge of a supercargo. In 1762 he himself followed with more goods. He settled at Quebec and also did business through a confidential clerk in Montreal. By some authorities he has been mistakenly identified with the merchant James Price of Montreal. In the autumn of 1764 he was appointed by Governor Murray to his newly formed council and was commissioned a justice of the peace. He was also commissioned, with Thomas Dunn*, a master in the Court of Chancery, Adam Mabane* and François Mounier being examiners, and the governor being the chancellor. 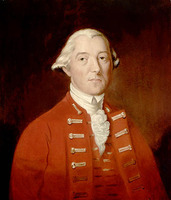 Price’s chief service to the government was in connection with the disastrous fire which occurred in Montreal in May 1765, destroying 121 houses and much goods as well as exposing the merchants’ warehouses to looting. There was no senior civil official in Montreal and merchants complained to the council that the measures taken by Ralph Burton, the brigadier of the Northern Department who had his headquarters there, were inadequate. The council agreed to send Adam Mabane with Price to report on the whole situation and to spend £300, later increased to £400 by a gift from Murray, to assist the most needy. Mabane and Price presented their report at the end of June. They were very critical of some of the local justices of the peace who, through “pride and obstinacy in consequence of former disputes with the military,” had not even asked for guards to prevent the looting. Mabane and Price in conjunction with the army and the justices took measures for the restoration of stolen goods, and made immediate arrangements to give help to charitable institutions and to relieve the needy. Their report to the council emphasized the need for more help, and for a stronger civil administration to cope with incompetence and even some corruption on the part of junior officials. Almost immediately after the presentation of the report Benjamin Price went to London, presumably on private business, but with a commission from the council to secure subscriptions from the authorities and from private individuals for the relief of the victims of the fire. He apparently returned in the summer of 1766 but was not present as a council member to welcome Guy Carleton* as governor in September. Nor did he attend the meetings during the crisis of the autumn which culminated in Carleton’s dismissal of Colonel Paulus Æmilius Irving* and Adam Mabane. He appeared again in council in January 1767. During that year he was engaged in litigation with his confidential clerk whom he accused of incompetence and fraud. He was also, with Daniel Robertson of Montreal, the subject of a petition to Carleton from Samuel MacKay, deputy surveyor for the navy. MacKay had claimed for the navy 200 trees in the Lake Champlain area, cut them, and floated them to Quebec where they had been seized by Robertson and Price as having been cut on their land. Benjamin Price is shown as present at council meetings as late as September 1768. He probably died during the following winter for in May 1769 the furniture of “the late Mr. Price” was sold at auction. PAC, RG 1, E1, 1–6; RG 4, A1, 2–18. Neatby. Quebec. F.-J. Audet, “Les législateurs de la province de Québec, 1764–1791,” BRH, XXXI (1925), 485. Hilda Neatby, “PRICE, BENJAMIN,” in Dictionary of Canadian Biography, vol. 3, University of Toronto/Université Laval, 2003–, accessed April 22, 2019, http://www.biographi.ca/en/bio/price_benjamin_3E.html.